One of the most popular Chinese symbols of good luck is the characters for fu which represents good luck or good fortune. 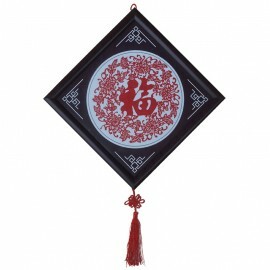 The ancient Chinese tradition of hanging a fu symbol on the front door is stil.. 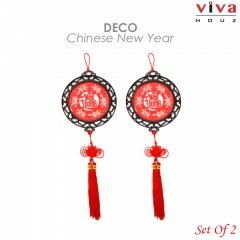 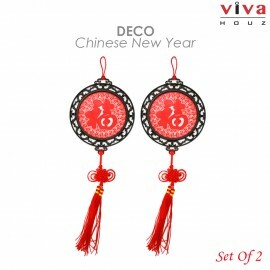 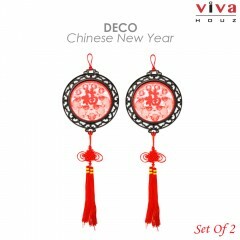 Product Details :- CNY Deco- Chinese paper cut-art- With glass surface- With Chinese knot- Size : Ø15 x 0.5cm thickness.. In feng shui and for oriental traditions, the fish is a very symbolic creature which represents abundance and wealth. Feng shui practitioners recommend having fishes and double fishes in the kitchen o.. 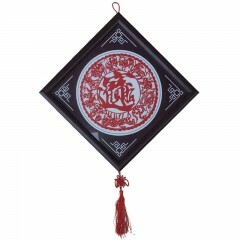 There are many Chinese symbols of good luck that are represented by objects, each having a strong purpose and significant meaning. 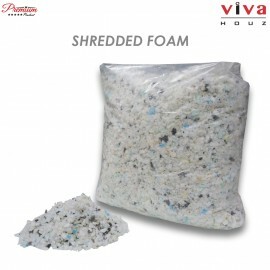 Often used in the practice of feng shui, good luck symbols strengthen..
Viva Houz Shredded Foam, All New Material is a superior filling that is both incredibly durable and comfortable which is great for pillows, bean bag chairs, cushions,&nb..
Viva Houz Marion 2 Seater Sofa Bed that is easily converted to a bed. 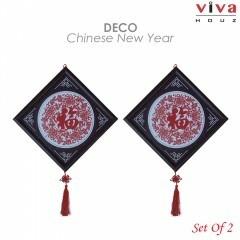 It is a modern and space saving product that is ideal for every home or office. 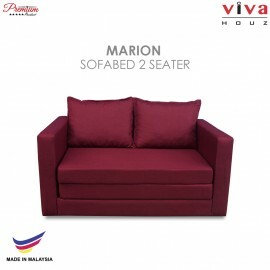 If you don't have a spare room,..